Currently viewing the tag: "property investors"
Before the general election the Conservatives were the only political party to not openly target landlords and property investors with manifesto rhetoric, making them the property professional’s choice for power. 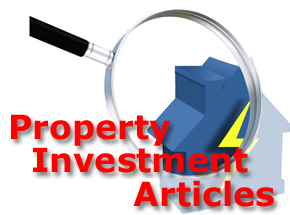 Even before the budget statement was delivered by Mr Osborne, there was plenty of press coverage about the generous tax treatment enjoyed by private rental sector (PRS) landlords and buy to let property investors. So it was of little surprise that the Chancellor chose to turn to the private rental sector in order to raise some additional revenue for the government. Spotlight predicted that this would happen after the Conservatives were elected, and this year’s summer budget could be just the tip of the iceberg. George Osborne’s post election Budget announcement, made earlier in July, contained two important changes to buy-to-let taxation that will impact on portfolio landlords and higher rate tax payers. The UK Property Market In 2015? Happy New Year to all our readers, and welcome to the usual confusion over what the year ahead will bring for the UK property market. The UK Property Market In 2015? Happy New Year to all our readers, and welcome to the usual confusion over what the year ahead will bring for the UK property market. Property prices are still predicted to rise in 2015, albeit at a much slower pace than in 2014, with economists and property experts providing forecasts ranging from 3% to 5% property price growth. However, there are a few events that might affect the UK property market in 2015, namely the general election that will be held in May and the growing probability of Bank of England (BoE) raising the base interest rate. Regarding the general election, it all could depend which party wins or what coalition combination is named to form the Government, after Labour recently confirmed that they would introduce a mansion tax if they come to power. Meaning that the changes to Stamp Duty that were announced in the 2014 Autumn budget would be negated if Labour win. Less clear is what will happen with Bank of England interest rates. It had been predicted that a small rise, either by a quarter to half of a percent, was going to be introduced before the end of 2014, but that didn’t happen. Then it was going to be early 2015 but that is now also looking very unlikely. To Be The Next Big Thing In UK Property! The UK’s biggest property buying educators, Progressive Property, have just released a fascinating training report and complimentary audio guide on CD that shows how you can genuinely buy a home or investment property with using any of your own money! 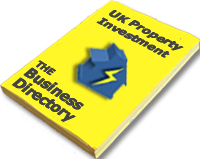 This revolutionary printed No Money Down guide is set to change the way in which first time buyers, new and seasoned property investors, and second home buyers purchase and pay for UK properties. Scrimping and saving hefty deposits, and watching potential ideal property investments pass by could now be a thing of the past. It’s already causing quite a stir on Facebook, Twitter and other social media sites due to its controversial but easy to use tips, and it’s only just been made available! I’ve read “HOW YOU CAN BUY PROPERTY WITH NONE OF YOUR MONEY”, and even as an experienced property investor I have to say that the report really is an eye opener! I would say that it’s well worth grabbing a copy of “How you can buy property with none of your money just to examine the cutting edge techniques that property buyers across the country are now able to discover. This brand new report is NOT about! This is not some “push-button” system for buying every house on your street. Let’s be realistic, that doesn’t happen. Otherwise everyone would be doing it. Allowing you to quickly and easily buy good, sound properties especially when you find them at a great price.